Got Rejected or banned in Adsesne? Sad 🙁 but don’t you worry. 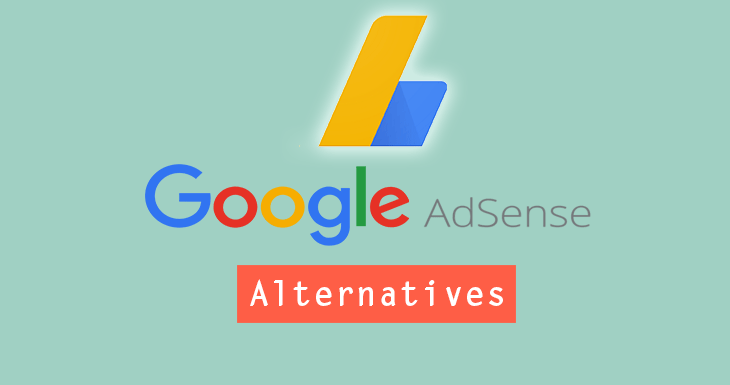 In this article, I have covered some Google Adsense Alternatives which you can use to make money even if failed to get Adsesne account or banned. No doubt, Adsense is one of the most preferred choices of bloggers when it comes to making money by monetizing their blog contents and traffic. In fact, when I start this blog, I had only Adsense in my mind to earn some money online:) Also, it’s one of the best and high paying CPC advertising network. There are many advertising programs are available on the net, but no one got success over it yet. That is why bloggers should know about adsense if they want to generate some real money. Adsense is number one in the list of monetizing networks due to their high paying CPC (cost per click) rates as I mentioned above. It is another reason that’s why blog owners struggle to get approval for Adsense account. But, here is the problem. Adsense policies and rules for getting permission to place their ads on your site are very strict. So, many bloggers often fail to approve their account. [By the way, I was failed two times and on the third apply, boom I accepted 🙂 ]. But Often blogger successfully approves their website and got publisher account. After getting access to place ads section, being banned is another reason and a big problem in adsesne. They even don’t notify you why and which ToS you violated. All the hard earned money also reversed to advertisers. It’s happened many times, and I have seen many bloggers on the internet who claims that their account got banned without any reason. So you should know some Best Google Adsense Alternatives if unluckily your Adsense account got banned and to keep earning recurring income. Following are the some best alternatives to adsense that pay good CPC and CPM rates to earn a healthy income. Buysellads was founded in 2008 by Tod Garland takes first place in the list of best adsense alternatives. Personally, I recommend this fast growing network if your site has massive traffic(at least 50,000 UV’s per month). You can offer different ad slots on your site at your desired price for 30 days. You can also earn money by twitting and RSS feeds through Buysellads. 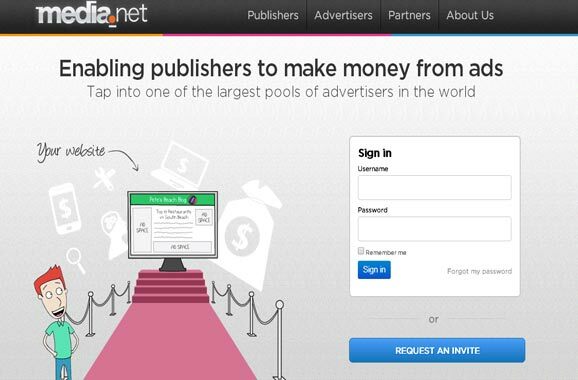 BSA impression based ad network and you don’t need click for generating revenue like adsense. If your website is getting enough traffic, then this one is an excellent Adsense alternative for you. Many bloggers are making huge income from this network even some sites which have only 40k traffic are making around $400 per month easily. If you have adsense account also, you can use both of these networks for monetizing. And you don’t need to register in any other advertising program because from these two platforms you can earn lots of money. This program Media.net is powered by Yahoo Bing Network. 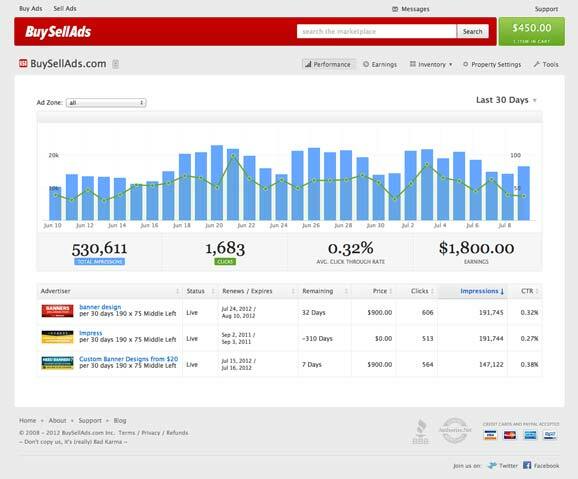 To work with this program, the majority of your site visitors must come from US, UK, and Canada. Also, your blog must have quality content written in English, Good traffic, and good site design. I recently applied for Media.net and got approval for placing ads on MyTipsHub. After using it for 2~3 days, I received tremendous results and earned 3x more than adsense. Though, they recommend place ads at least for 20 days to better under your site traffic for showing most related ads. The most impressive thing about this network is after approval you will get an account manager, who’ll help you understanding and guide about ads placing as well as recommend necessary things to do for making maximum revenue. Tribal Fusion is also an excellent Google adsense alternative to earn good revenue from your blog. Tribal fusion rules are also very strict like adsense; your site must have unique contents and huge page views per month to get approval for this program. If you want to get registered your site on this network, then your site must have 5000 visits per day and minimum 100,000 page views per month. Your website should have quality & unique contents that provide better user experience and must update on a regular basis. You can earn upto 55% advertisements revenue from tribal fusion. Chitika means “in a snap” and it is another CPC based paying network like adsense. Chitika was founded in 2003 by co-founders Venkat Kolluri and Alden DoRosarioand. Anyone can easily approve their account with this network if he/she is not violating any term of service. Also, their ToS are not much strict than compared to BSA and Adsense. You can block advertisements by entering keywords in your Chitika account that not suits your blog content or niche. They have won many awards in the last 11 serving years. In my experience, they pay very lowest CPC rates and it is almost impossible to earn significant income. The minimum payout is $10 for PayPal and $50 for wire transfer. This monetizing program is best for beginner’s or starters due to the lowest limit of payout because making $100 as a newbie is not an easy job. But, definitely you can easily make $10, Am I right? Infolinks (In-Text-Ads) found in 2007 by Davidovich and Oren Dobronsky, is known as the best advertising network in the category of text-based ads because their ad rates are much higher than anyone else. Infolinks ads will be shown within your site content/blog post and specific keywords linked with advertisements that are picked by advertisers for monetizing. You can use different ad styles such as In-frame, In-search, In-tag and In-text on your site to maximize earning. 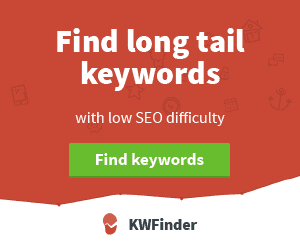 If you want to make big with this network, then use high paying keywords in your blog posts. 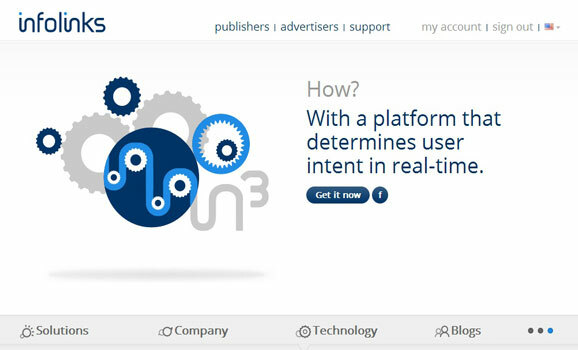 Clicksor is an online contextual monetizing program which you can use as adsense alternative. It was founded in 1999. Contextual advertising network shows ads that are most related to the publisher site contents. You can earn with clicksor using CPC (Cost per Click), CPM (Cost per thousand impressions) ads, etc. When your earned money reaches to $50, they will transfer it via Paypal to your account or through cheque. If you refer someone, you will get 20% commission from clicksor as a reward. So, these are some best Google Adsense alternatives that you can sue in case of not having an adsense account. If you search a query in Google with this keyword “adsense alternative” you will see a huge list of monetizing networks but be aware some networks are just a scam they will not give you a single penny. So, before starting work with any network check it reputation, user reviews and network history.